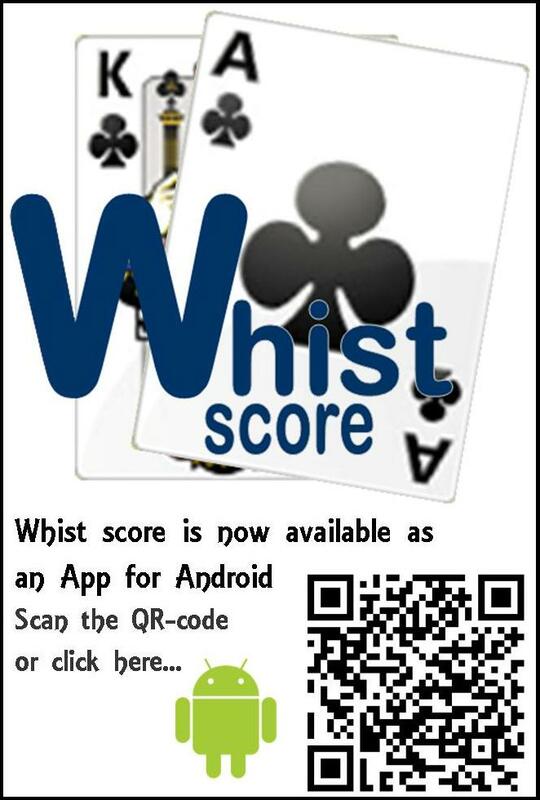 This is a tool to make it easy to calculate the score in the card game Whist. It is simple and fast to add a round and you can get a good overview over the game progress on the scoreboard. If you pick a playing order it can automatically determine the next dealer, starter and players sitting out. There is also a rich statistics feature for users. You can use the score calculator as a guest for single games, but if you are a regular player you can create a user. A user is especially useful if you are playing in one or more regular playing groups, where you can se old game results and use the statistics feature based on one or more games. It is developed to fit the variant called "Call Ace Whist"(also known as Danish Whist), but might also fit other versions. A general intro to whist can be found here. Rules for "Call Ace Whist" can be found here.